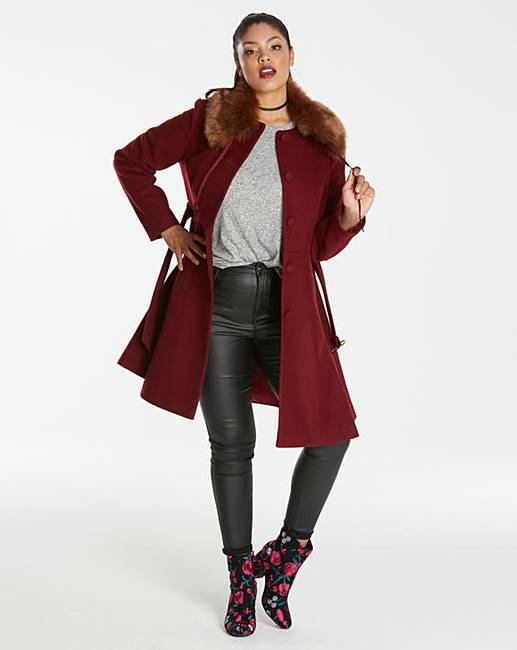 Feel fabulous at any age in this premium fit and flare coat. 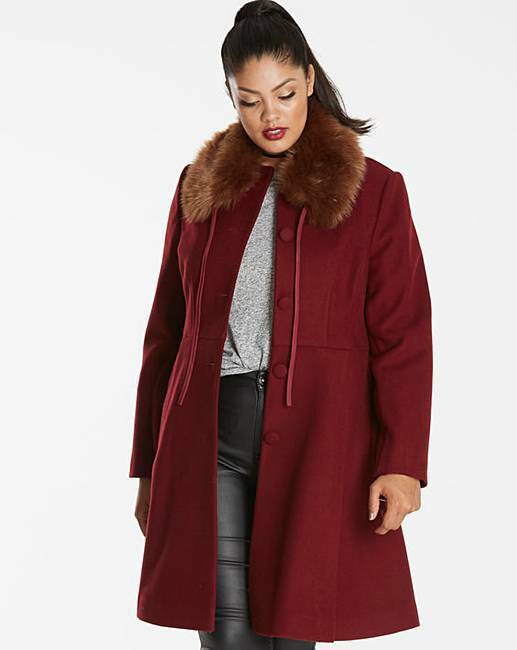 Fashioned from a beautifully soft wool mix fabric, this coat will surely be your new statement piece this season. 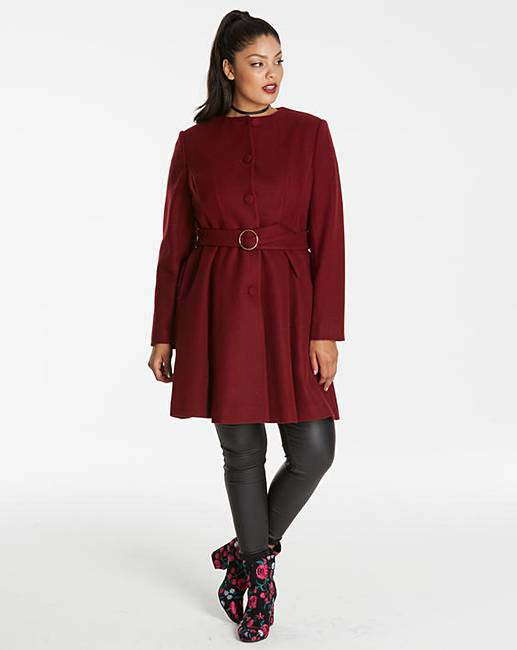 Designed with shaped seams for a flattering fit and feminine front pleats to give that fit and flare effect. 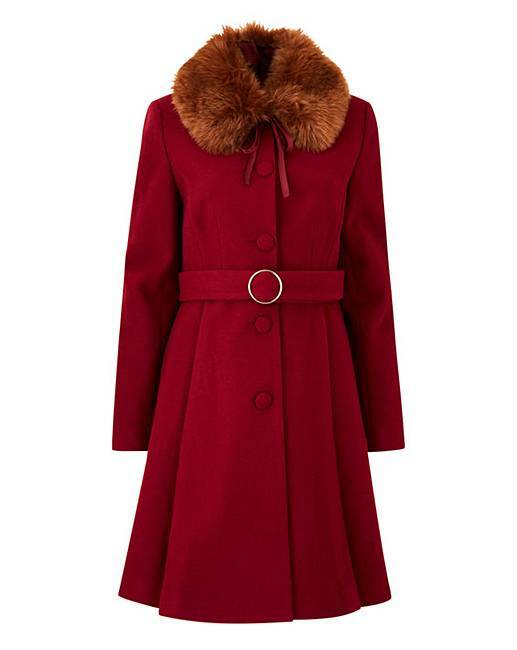 In a beautiful shade of claret with self fabric button fastening, tie waist belt with ring detail and unattached faux fur collar with tie detail. 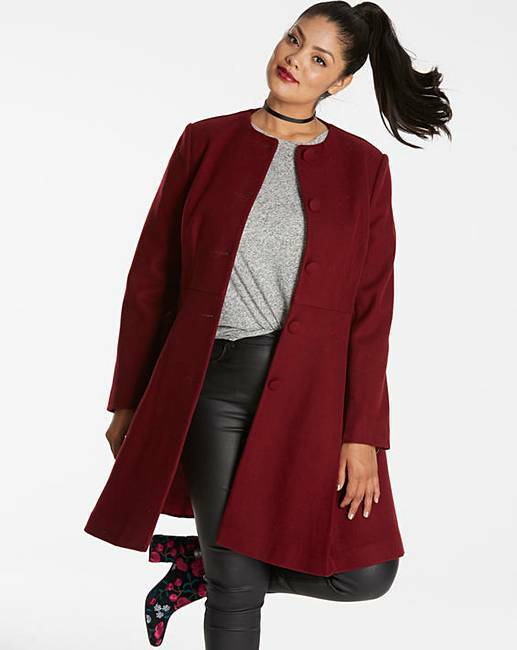 50% Acrylic, 45% Polyester, 5% Wool. Lining: Polyester. 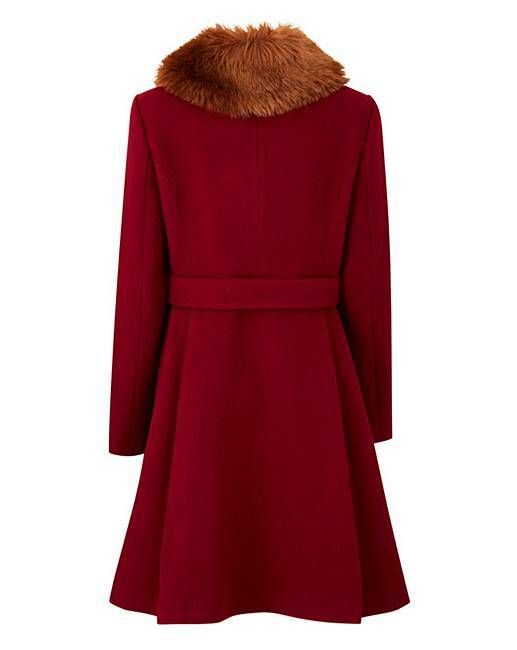 Faux Fur: 70% Acrylic, 30% Polyester.